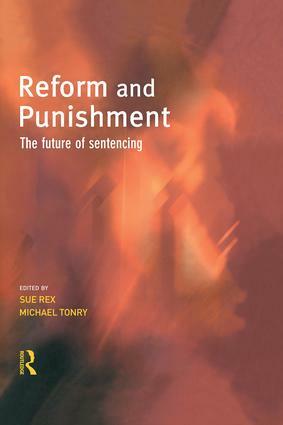 In this book a group of leading authorities in the field address the key issues surrounding the future of sentencing in Britain, in the light particularly of the highly influential Halliday Report. These proposals for reform amount to the single most ambitious and comprehensive set of proposals for reconstituting the sentencing system of a common-law country, and include proposals to replace existing sentencing statutes, the establishment of a sentencing commission and sentencing guidelines, and the creation of a sentence review function in the judiciary. As well as addressing the major issues of the Halliday Report the chapters in this book go beyond this to explore the broader set of policy problems and implications which are raised, drawing upon experiences of reform in other jurisdictions and contexts, particularly that of the USA. This book will be essential reading for anybody with an interest in the future of sentencing or the future direction of the criminal justice system as a whole.